Kind words about my upcoming full-length book from Donny Jackson. 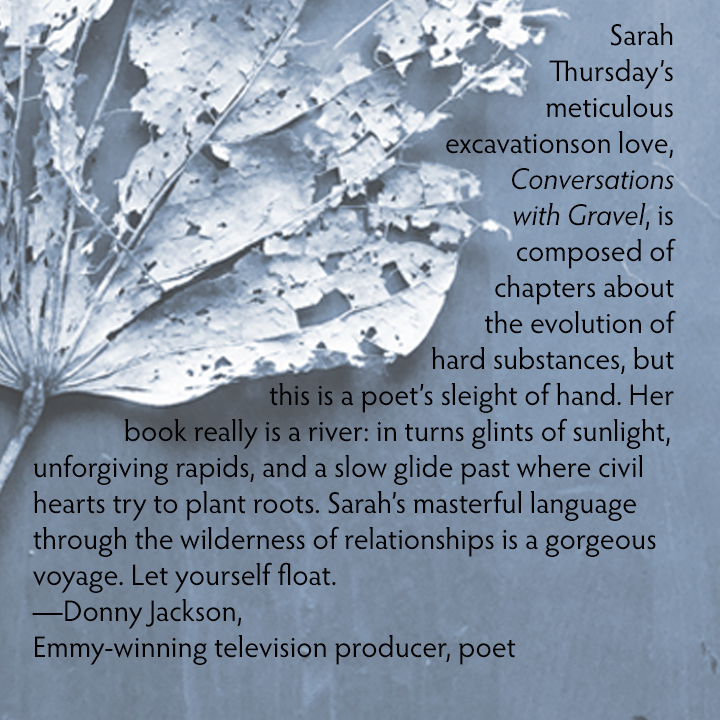 Preorders for Conversations with Gravel are available though October 5th at the SadieGirlPress.com bookstore. You can pay $3 for shipping or select Pick Up if you are local when you first open your Cart. Pay only $9 with promo code: PresaleCWG at the Checkout stage.